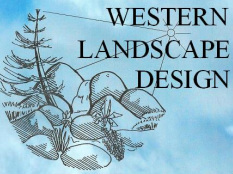 Centered in the Clovis / Fresno area, Western Landscape Design has been serving the San Joaquin Valley area since 1990. The owner and chief designer, Casey Crockett, began his landscape career at the old "Tenaya Garden Center" located in Clovis, California after which he joined the landscape crew and trained under the tutelage of Kent Cookingham, owner / operator of "San Joaquin Landscape and Design". During this time, Casey studied landscape design and acquired his B.S. degree at C.S.U. Fresno in Ornamental Horticulture with a Business Minor. He later added his C-27 Landscape Contractor's License (#600019) and established Western Landscape Design in 1990. Casey has also participated in the annual "Fresno Home and Garden Show".